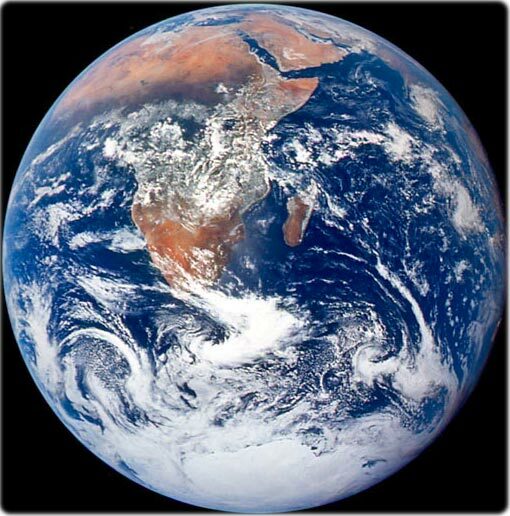 The Earth as seen by the Apollo 17 crew traveling toward the moon. This translunar coast photograph extends from the Mediterranean Sea area to the Antarctica south polar ice cap. This is the first time the Apollo trajectory made it possible to photograph the south polar ice cap. (NASA - December 7, 1972). Red Sea. 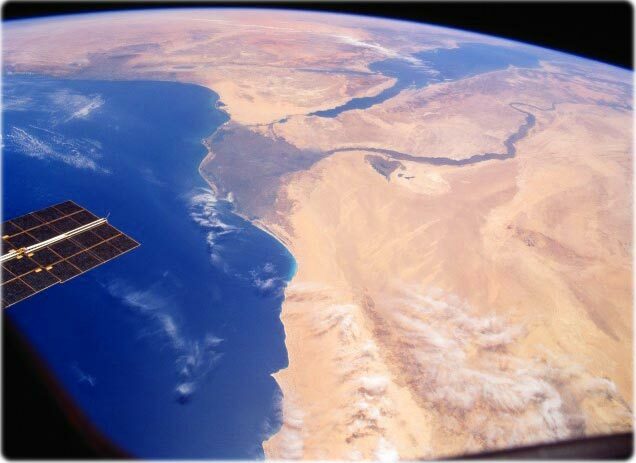 The coast of Sudan and Eritrea, Africa, can be seen in the bottom of this image. Saudi Arabia, in Asia, is on the other side (NASA). 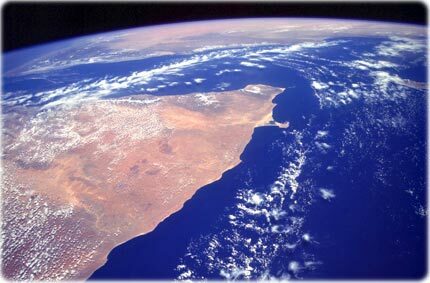 Horn of Africa, in Somalia. 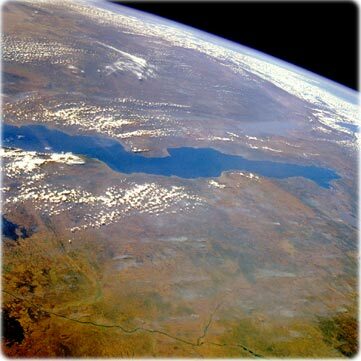 This photo, from NASA, shows the arid-to-semiarid landscape in the east of Somalia. The shape of this part of Africa seems like a horn of rhinoceros penetrating the Indian Ocean. In southern and northwestern Somalia there is a relatively dense thorn bush savanna. Northern region have mainly grassy plains. Northeastern Somalia and parts of the northern coastal plain there is a scarce vegetation. 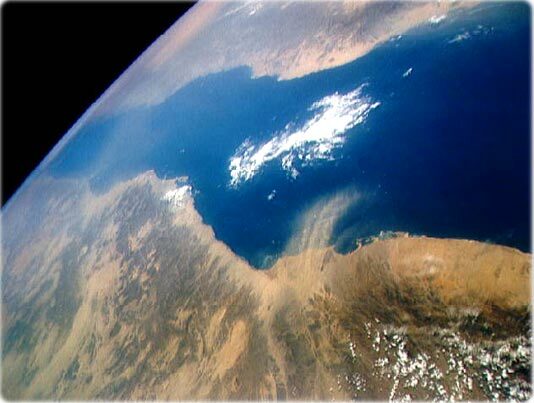 Egypt, Africa and Mediterranean Sea (NASA). The Aïr Mountains in the Sahara Desert, northern Niger, rise from the sea of sand to provide unique scenery. 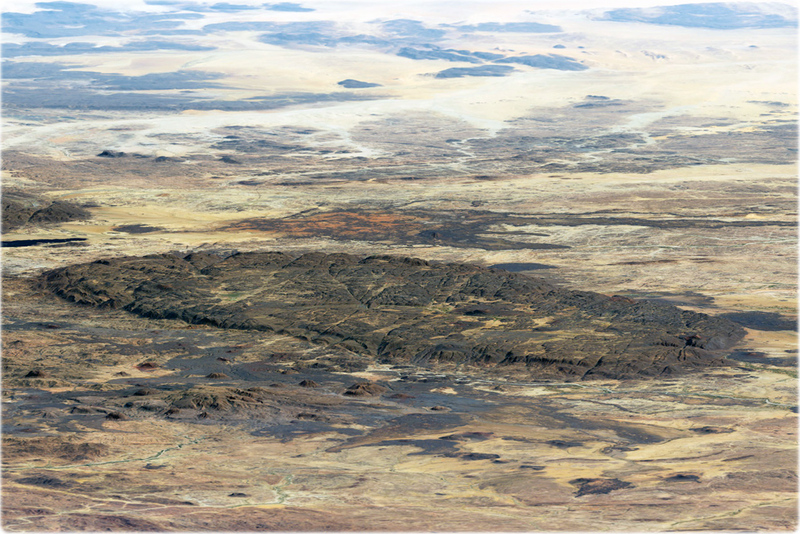 The mountain range hosts volcanic peaks, is traversed by deep valleys, and makes up one of the world’s largest ring dike structures, a rare circular feature born from early volcanic activity (NASA, October 31, 2018).